This is my version of the Illustration Friday topic, “Sink”. 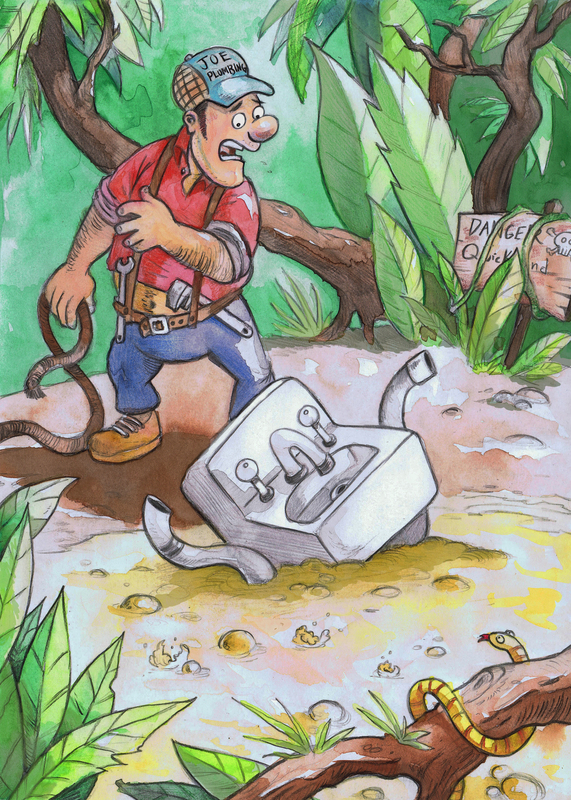 I illustrated a sink sinking in quicksand (It should be called slowsand). Fortunately for the sink, Joe the plumber is nearby. 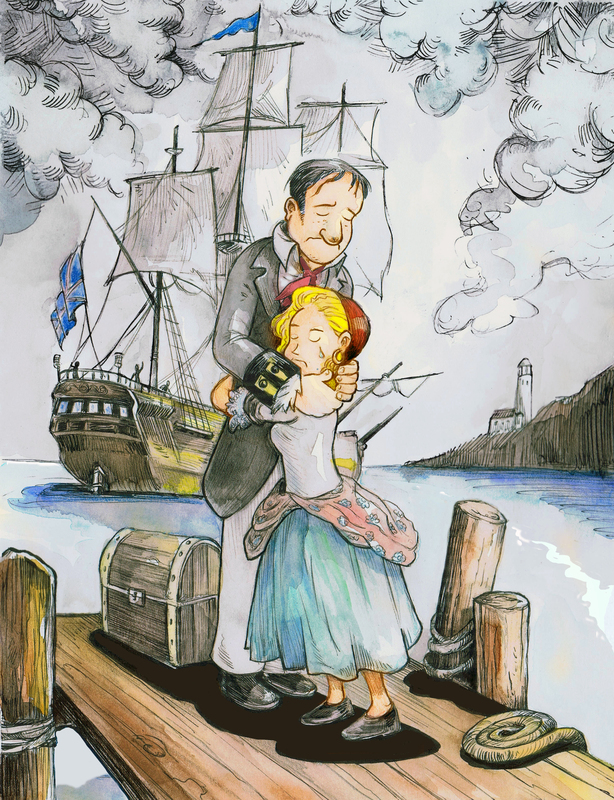 This watercolor illustration was created for the Illustration Friday topic, separation. I thought of a division between two people and imagined the best way to illustrate this division would be with an Eighteenth Century sailor. Pirates are never far from my mind. rode the six hundred… did I mention slowly! 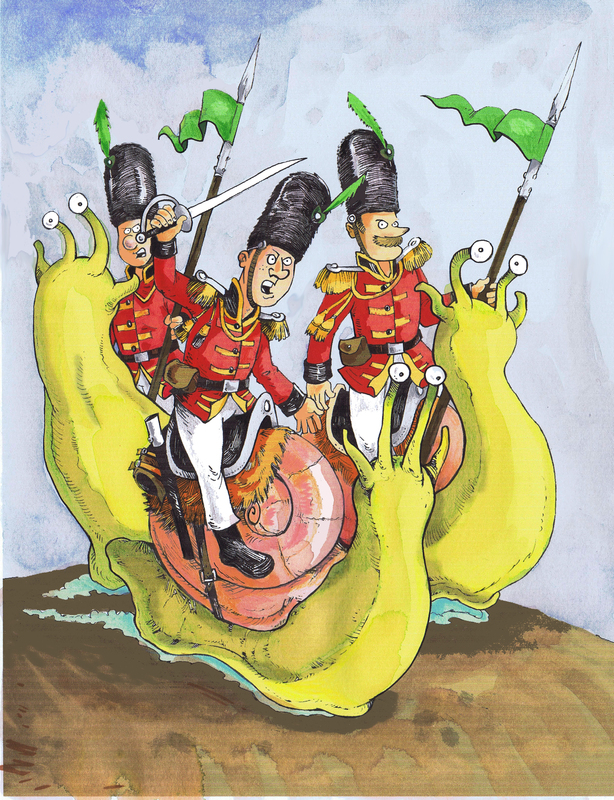 This is my entry for the Illustration Friday topic, “Brigade”. 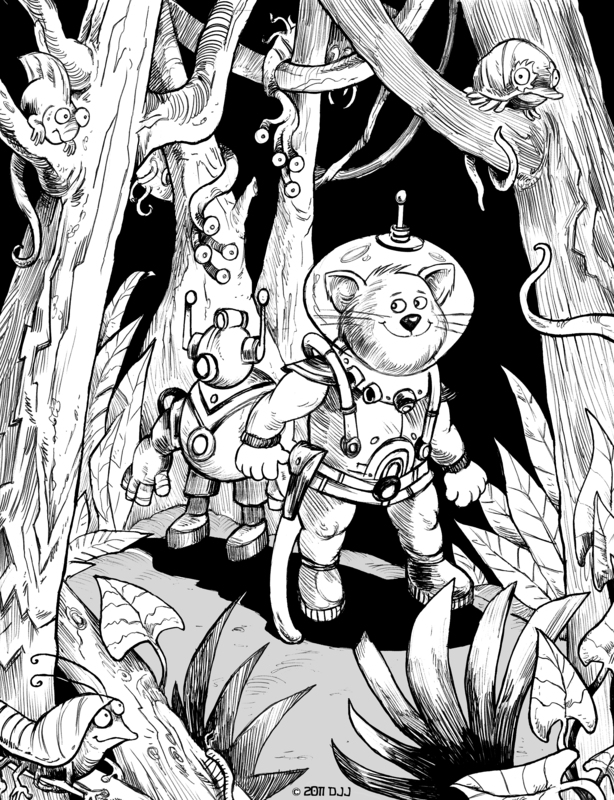 This is a black and white ink illustration of my very own Space Cat and his sidekick, Robot Mouse-45 (That is the Robot’s name). I imagined Space Cat off on an adventure in an impenetrable dark jungle on a far distant planet. Space Cat shreds the very fabric of space and time! Next, I’ll have to try some more color illustrations.